Being arrested is a scary time and we are here to help you know what you should do after a Florida criminal arrest. We also will help explain the legal process and what happens after your arrested. 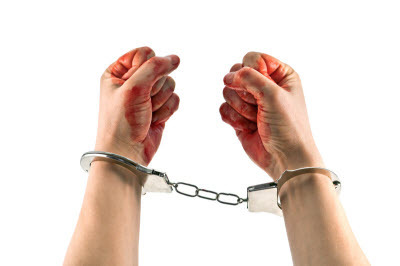 An Arrest – What to Do & Not to Do – As part of Sandefer Law Firm’s commitment to you and commitment to excellence, Sandefer Law Firm prides itself in educating and counseling the firm’s clients and being available at this time of need. There are some important things you need to know. After Arrest – The Court Process – Once a person has been arrested, they will normally be taken to a jail. On some misdemeanors a police officer may provide a person with a “Notice to Appear” which will have a court date and time on it. Selecting the Right Attorney – In selecting an attorney, you should choose an attorney who is well-respected in the field, among Judges and peers. Florida Punishment Code – Sentencing Guidelines & Penalties – In the State of Florida, there are various degrees of crimes. Most are generally classified as felonies or misdemeanors. Felony charges are of varying degrees with differing consequences. Drug Court – Court Diversion Programs & Alternatives – Pinellas, Pasco, and Hillsborough Counties now have drug courts. Certain cases may qualify for entry in to drug court which focuses on recovery and treatment instead of punishment. FREE Consultation with Larry Sandefer Please feel free to contact us with a description of your needs, all initial consultations are free.